Formerly trading as Paperboard Products, this division of Boardlink is the largest carton board press forming manufacturer of plates and trays in the UK. 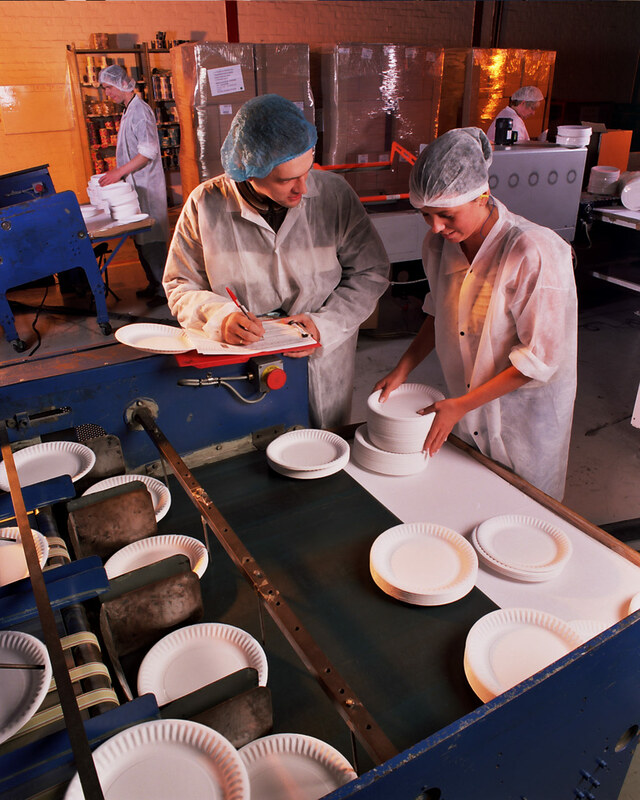 We manufacture dual-ovenable board food trays and paper plates together with catering and janitorial wiper cloths at our manufacturing factory in North Wales. Paperboard as a raw material for food packaging is increasingly being demanded by retailers and food service companies for both its environmental and functional attributes, verses foil and plastic. 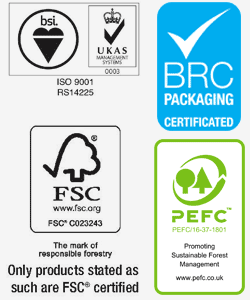 Our products are Compliant with the EU timber regulation 995/2010 for paperboard products, and we hold FSC® Chain of Custody certification. Our paper plate material is supplied by a UK mill that uses UK forestry products and is recyclable and degradable. WRAP has classified our board trays as ‘Widely Recycled’. This means that any of our trays can be recycled with consumer paper waste streams, providing there is no food residue remaining in the container. We are certified to the BRC/IoP Global Standard for Packaging and Packaging Materials, achieving grade A standard. This system encompasses the HACCP Plan and Quality System and adheres to guidelines set out by ISO9001 which our joint site is accredited. All our Paper Plates are manufactured in the UK. We specialise in producing own label products for the major retailers, wholesalers and catering distributors. 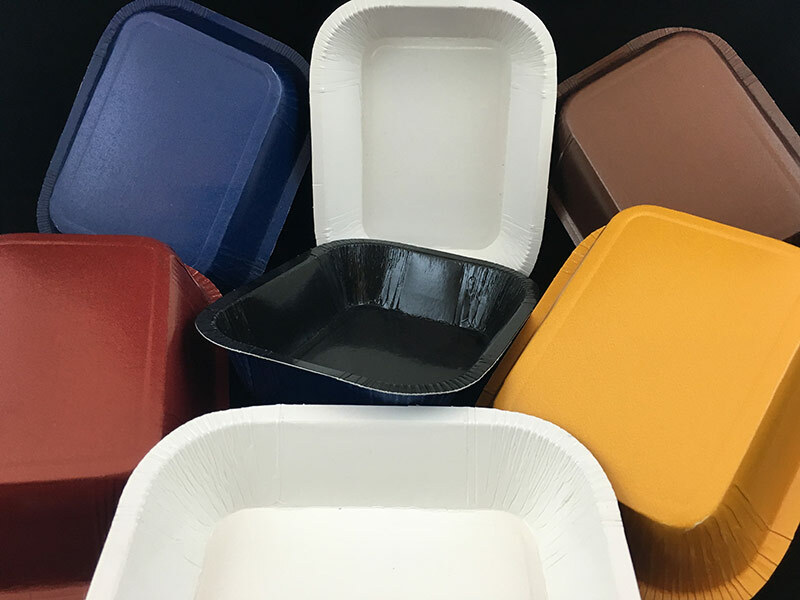 Our Paper Plate is a primary fibre paperboard comprising bleached chemical pulp outer plies, mechanical pulp middle plies and carefully chosen coating ingredients which together meet the requirements for high performance food contact packaging. The stiffness characteristics of the FBB used in our plates in relation to grammage make it stronger than alternative 240gsm and 270gsm plates on the market by up to 13%. The fully coated finish on the food side gives a very smooth surface and high white finish making our plate visually more appealing than alternative plates. We choose this material because it is used by luxury goods companies and leading brands operating in the frozen and chilled food sector, the pharmaceutical and health care sector, together with beverages, mixers, cereals, biscuit, bakery, cakes and confectionery. 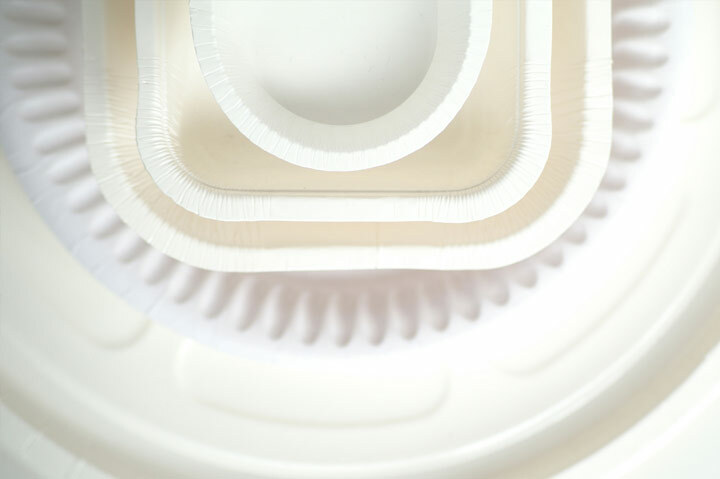 Manufactured in the UK – both the raw material and the forming of our paper plates are processed in UK manufacturing facilities. 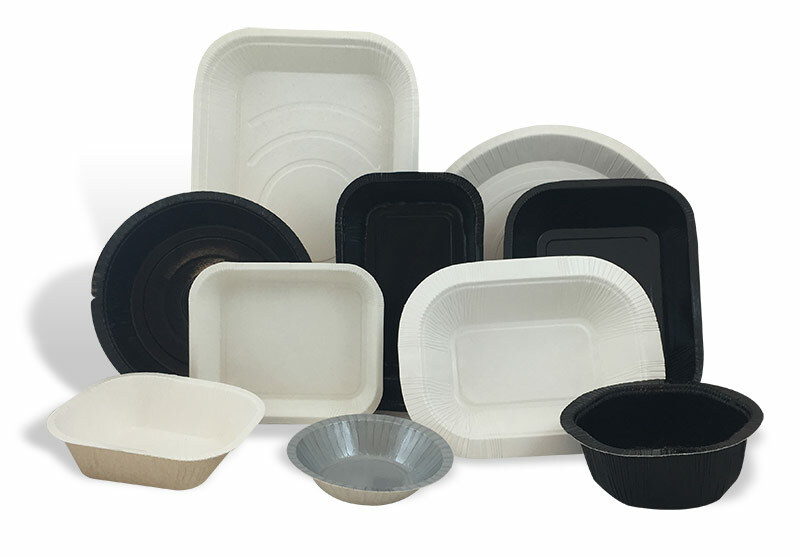 Boardlink manufactures a large range of press ware Dual-Ovenable Board Trays that are available in numerous shapes and sizes, as well as having a strong resistance to high and low temperatures (-40c to 220c) making them suitable for industrial, domestic and microwave ovens as well as freezing. Boardlink supplies its range of Dual-Ovenable board trays to the major food retailers, food service providers and manufacturers throughout Europe and are used mainly for ready meal applications, hot puddings, pies and raw meats. 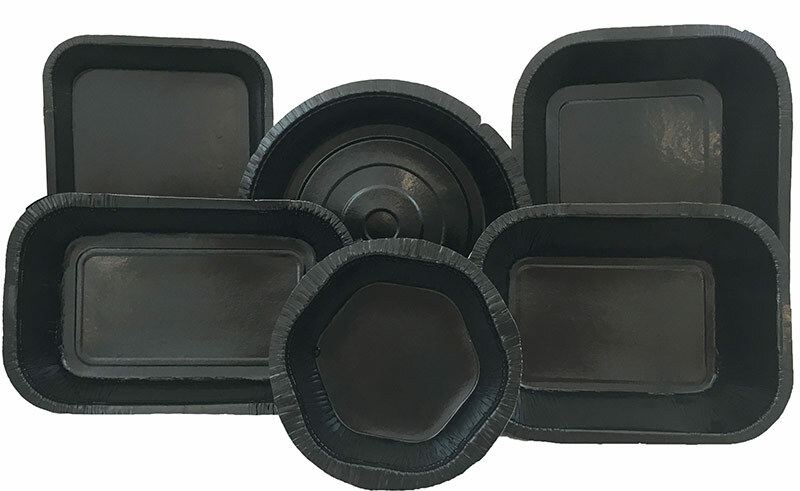 The trays are PET (Polyethylene tetraphalate) coated providing excellent grease barrier properties, high temperature resistance, good WVTR resistance and excellent formability. They are available in white or black and can be printed to meet requirements. Come from a sustainable and responsibly managed source. Produce less CO2 in production than the currently used plastic and aluminium trays. 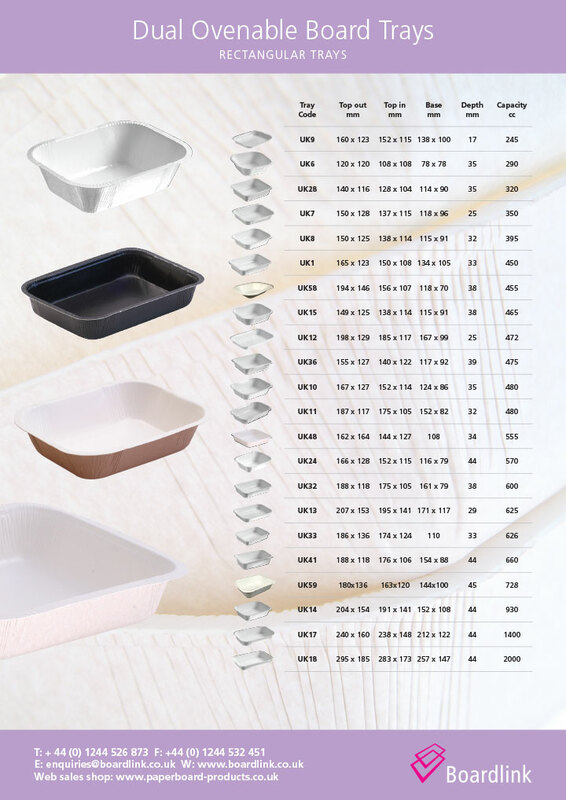 Offer a reduction in packaging weight verses ovenable plastic trays. 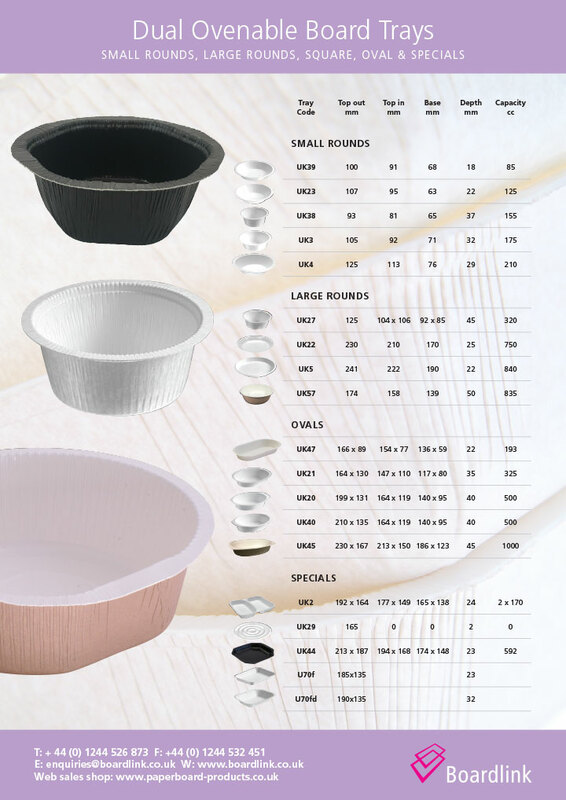 Are resistant to high temperatures (220 degrees centigrade). Are suitable for freezing to -40 degrees centigrade. Are less likely to ‘shatter’ than plastic based products, especially when frozen, resulting in less breakages in the supply chain. Provide better insulation than aluminium and plastic based products. Therefore it is less likely to burn to-the-touch and remain more rigid when containing hot product. Perform well on existing packaging lines being less likely to fold or buckle than aluminium products. Provides excellent sealing integrity for both board and lid options. Please take a look at the different designs and shapes available in our large range of Ovenable Board Ready Meal Trays to see if we can match your requirements. We are also able to do bespoke tray sizes that meet your exact measurements should we not have what you are looking for in our available sizes.